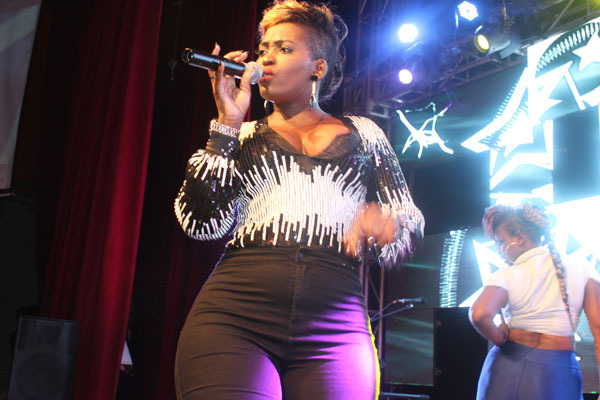 KAMPALA– Ugandan Swangz Avenue female singer Winnie Nwagi has vowed to hold her first ever music concert next year, 2019. Following public criticisms over declining musically and being dominated by her co-singer Vinka who has a patent airplay, Nwagi has come back with a stunning hit ‘Mataala’ that is taking over airwaves. While appearing to one of the local radio stations, Nwagi said that unlike previous years, she believes she has now grown up musically and that 2019 will be a concert deal. It alleged that Nwagi is the reason why her former co-singer Irene Ntale left the group (Swangz Avenue) for putting much effort to the Detergent hitmaker. Winnie Nwagi is a Ugandan female singer signed to Swangz Avenue music group. She rose to fame after being 2nd runner-up in the Coca-Cola Rated Next competition in 2014. She is also best known for her award-winning single Musawo. In April 2016, Nwagi performed with Afrigo Band in a live performance at Guvnor called ‘Friday Night Live’. Did Nwagi leak Vinka’s song?